Fun, festive and refreshingly fruity; this fragrance combines the sweet, juicy notes of sun ripened persimmon with the soft, delicate blooms of the purple lily flower the ultimate combination of floral and fruity. 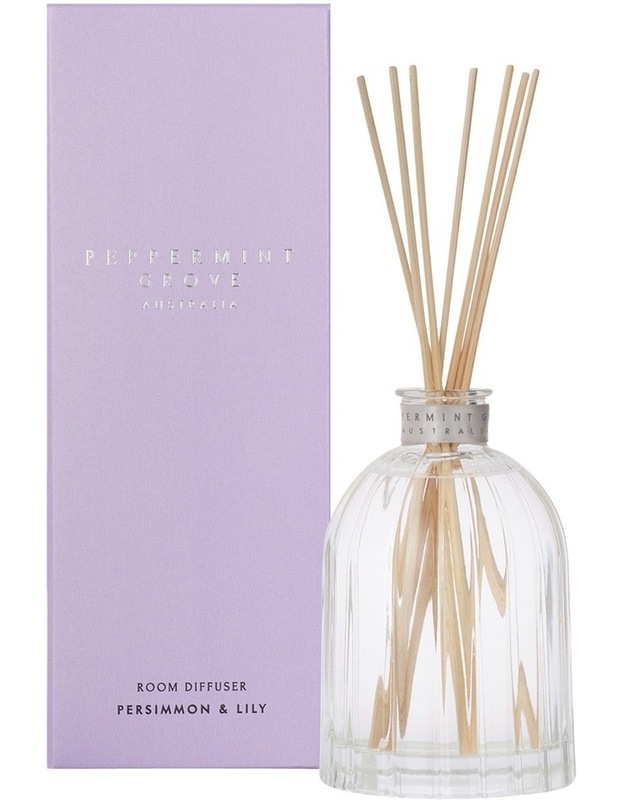 Peppermint Grove fragrant room diffusers are handmade in Australia in our highly polished custom-designed glass. Our oil based formula will continuously release fragrance into your chosen space for up to 6months.. Top notes are persimmon, grapefruit and bergamot; middle notes are cassis and lily of the valley; base notes are vanilla and musk.